“Falling Skies” opens in the chaotic aftermath of an alien attack that’s left most of the world completely incapacitated. Survivors have banded together to begin the difficult task of fighting back. Each day is a test of survival as citizen soldiers work to protect the people in their care while also engaging in an insurgency campaign against the occupying alien force. 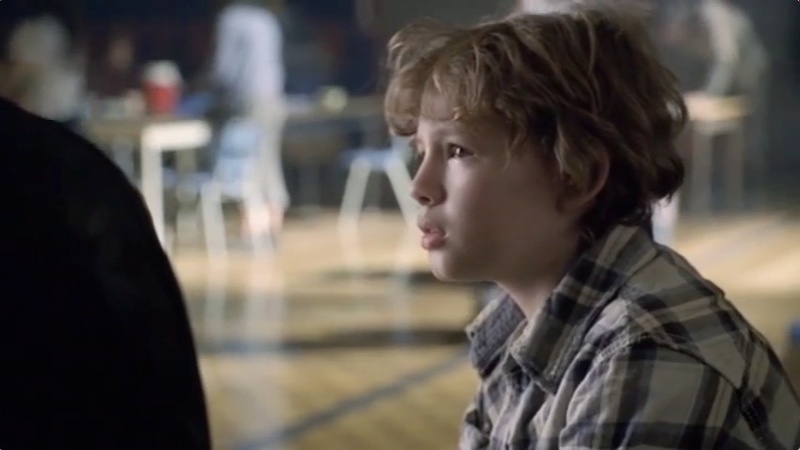 The series is executive-produced by Steven Spielberg and stars Noah Wyle as Tom Mason, a Boston history professor whose wife was killed in the initial attack, and whose son Ben (Connor Jessup) has been captured by the aliens. Determined to get his son back and to ensure the safety of his other two sons, Hal (Drew Roy) and Matt (Maxim Knight), Tom must put his extensive knowledge of military history to the test as one of the leaders of the resistance movement known as the 2nd Mass. Their goal: to gain intelligence about the aliens, hoping to one day outsmart and overtake them … and rebuild their own lives. Moon Bloodgood plays Anne Glass, a pediatrician who works with the surviving children to help them cope with the traumatic upheaval in their lives. Will Patton plays Captain Weaver, a fierce leader of the resistance. The series also stars Seychelle Gabriel as Lourdes, an orphaned teen who helps Anne in the group’s makeshift medical clinic. Colin Cunningham plays John Pope, the leader of an outlaw motorcycle gang and Sarah Carter plays Margaret, a wary survivor of Pope’s gang. Other key resistance fighters are Jessy Schram (Karen), Peter Shinkoda (Dai), Mpho Koaho (Anthony), Dale Dye (Colonel Porter), Bruce Gray (Uncle Scott) and Dylan Authors (Jimmy Boland). “Falling Skies” focuses on the resilience of the survivors and their determination to maintain their humanity when all else has been destroyed. It is a tale of endurance, commitment and courage in which everyday people are called upon to become heroes. The aliens are mighty, mysterious and merciless. They are highly intelligent and use military-like tactics, which makes them an overwhelming force against the 2nd Mass. Though the survivors may be outmatched, outnumbered and outgunned, nothing can beat the human spirit. 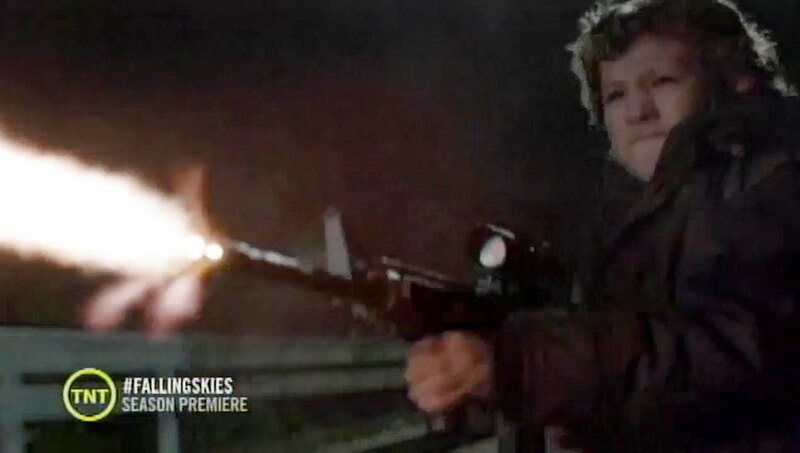 “Falling Skies” is rated TV-14.